Being a mother, make sure that always opt for skin friendly & 100% natural fabric wipes that are safe and harmless. Checking the ingredients should always be the first on list. Kicking up the parabens free baby wipes would be top priority. 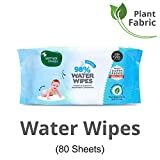 The biodegradable skin friendly natural fiber wipes get decompose easily with time. Hence, save mother earth and use the best baby wipes for baby. Polyester and viscose based baby wipes are a sure cause of skin irritation, rashes and redness on the baby. Paraben when added in the baby wipes harm the skin by preventing the natural moisture of the skin. Hence, aim to get the right parabens free baby wipes. Mother Sparsh Baby Wipes are velvety and super soft on the baby’s delicate skin. These are made of 100% plant-based fabric containing 98% of water, which means it is biodegradable and eco-friendly. 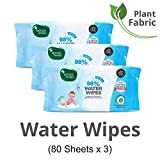 If you liked reading this article – “5 Facts About Baby Wipes – How To Choose Best Wipes for Babies”, do like it and share with others. You can share your views with us in the comment box below. Previous PostWhat is the best medicine for acne and pimples?